Wat is dit voor site? Wij zoeken de goedkoopste boeken op internet. Le Morte D'Arthur Volume 2vonden we het goedkoopst op Bol.com voor €9.94. We hebben gezocht in nieuwe en tweedehands boeken. Rechtsonderaan de pagina kan je het boek direct bestellen	via Bol	.com. 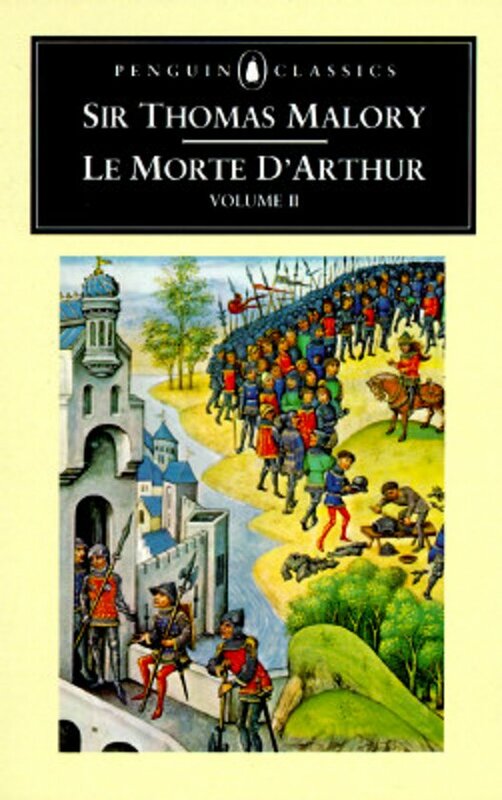 Volume two of Le Morte D'Arthur, Sir Thomas Malory's powerful and elegaic version of the Arthurian legend, recounts the adventures of Sir Tristram de Liones and the treachery of Sir Mordred, and follows Sir Launcelot's quest for The Holy Grail, his fatally divided loyalties, and his great, forbidden love for the beautiful Queen Guenever. Culminating in an account of Arthur's final battle against the scheming, deceitful Mordred, this is the definitive re-telling of the Arthurian myth, weaving a story of adultery, treachery and ultimately - in its tragic finale - death. Edited and published by William Caxton in 1485, Malory's moving prose romance looks back to an idealised Medieval age of chivalry, drawing on French and English verse sources to create an epic masterpiece of passion, enchantment, war and betrayal. J A Burrow, Burrow J. A.